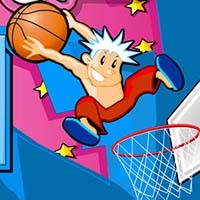 Basketball legends is among the top 10 of the most popular games in the internet gaming world. 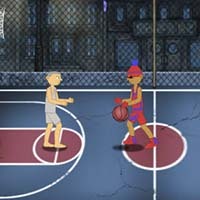 As basketball legends multiplayer, you can play as 2 players with your friend or as 1 player against the computer. 92 second basketball is a sports game. You have to dunk the ball into the basket within 92 seconds. The more you dunk the more you score. 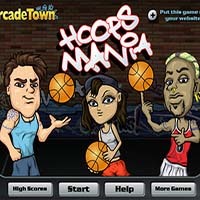 Street Ball Jam is basketball game where you can play as different characters and you can unlock many features. You must win higher points to become street champion. You need to make combos to get fireball. You can play in different mode such 21 points game, single game and playoff game. You can get extra bonus by getting extra thing appear in the game play. Basketball Shoot Fun is a sports game. You have to throw the ball into the basket to get points. 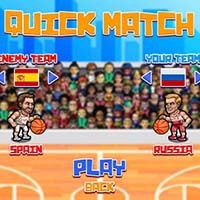 World Basketball Challenge is a basketball game where you need to select international team. Each team has 5 balls to shoot and the team which secures higher points win the game. 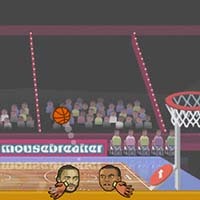 Sports Heads Basketball Championship is a sports game. You can play a league or 2 player games. Player with most points within 60 seconds wins the game. 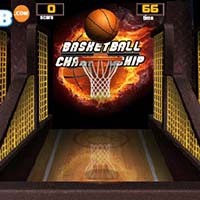 Basketball championship is a sports game where you will need to select your team for the tournament and you will have to score more shoots than opponent player to win the round of tournament. Farball is a basketball game. It is a single player game where you have 10 balls to shoot. One basket counts 1 score. 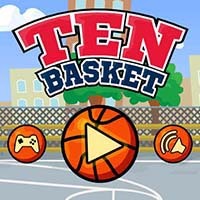 Ten Baskets is the basketball sports game where you will have ten balls to score as many points as possible. You can get different styles of balls by scoring more points. 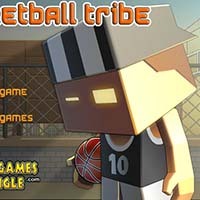 Basketball Tribe is a sports game where you are required to earn bonus baskets in the form of bonus time, power etc. 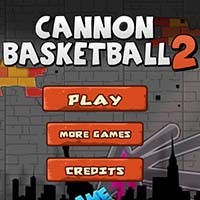 Cannon Basketball 2 is a sports game where you will dunk the ball into basket with cannon. 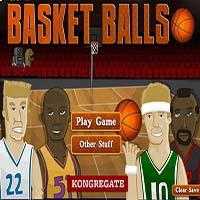 Basketball Challenge is a sports game where you can play a tournament or a single game. In a single game you need to get as much points as possible in 45 seconds whereas in a tournament game you need to win more games and more points. You are in offence so try to keep mouse cursor on player. March Mayhem is a basketball game. You need to score as much as you can within the predetermined time. 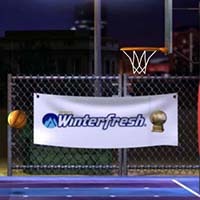 You can pick up extra items that allows you to dunk from anywhere, to double your speed and perfect shoot from anywhere in the court. Cannon Basketball is a sports game. 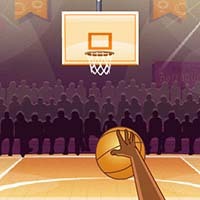 You have to shoot the ball into the basket to complete level. Basket Balls is a sport game. You need to score in each basket. Hitting referee gives you an extra bonus of 5 seconds. 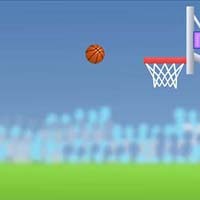 Basketball Horse game is a sports game. 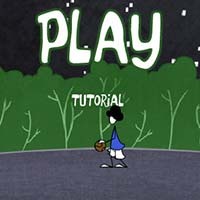 You can play practice game, against computer player and high score shoot. You can choose difficulty level from beginner, medium and difficult. 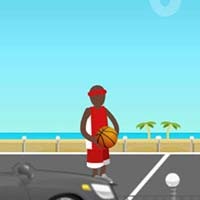 You can also choose basketball court. 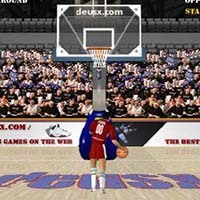 Basketball Fury is a sports game that allows you to either play in single player mode or double player mode. You can play quick game, tournament and random matches. You can choose difficulty level from low, medium and high. 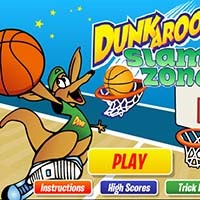 Dunkaroos Slam Zone is a basketball game. You need to help him to clear all five levels; High school, College, Semi-pro, Pro and all-star. 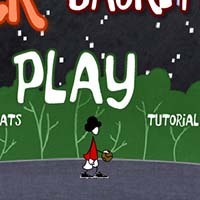 Hyper dunker is a basketball game. You need to dunk the ball. There are different levels and to clear each level you will need to reach the required score. 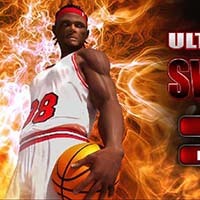 Ultimate Swish is an amazing sports game where you need to get as many baskets as possible within the limited time. 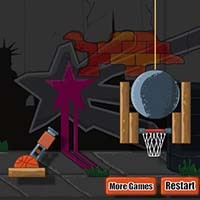 Basketball Line is a basketball game where you will have to draw a line to basket to prevent the ball from falling. 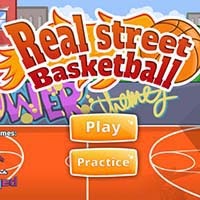 Real Street Basketball is a sports game where you need to shoot the ball into the basket. You can also play practice game. 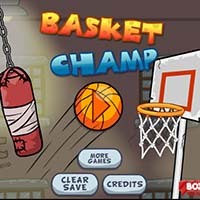 Basket Champ is an inter-nation basketball game that allows you to choose your team and then play the game. Each team will have one turn to shoot the ball. 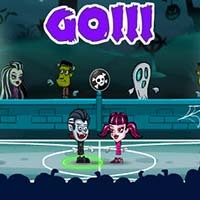 Eddies Shot Clock Showdown is a basketball game which requires you to as many baskets before you are out of time. Each basket counts 100 points. 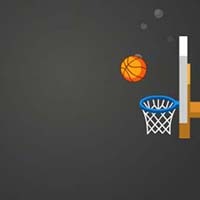 If you score more points in sequence you will get bonus points; 100 points for 2 consecutive basket, 150 for 3 consecutive baskets and 200 for 4 consecutive baskets. 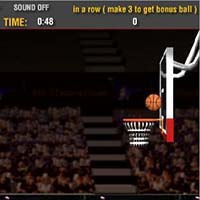 Tap Tap Shots is a basketball tapping game where you need to score consecutively as many times as possible. Each time you score a point, the time is resettled. 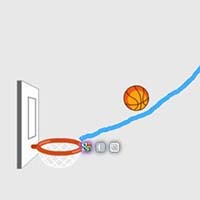 If the ball goes outside of the screen, it will come from the other side of screen. 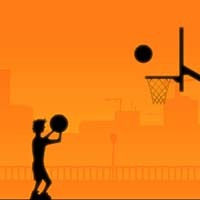 Basketball Blitz is a sports game. You can play normal mode, random distance, 2 x distances and shoot anywhere. 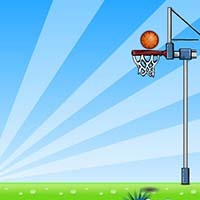 Basket Champs is a sports game where you will need to score more points to win the tournament. You will select the team for tournament. 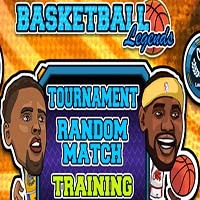 Play Basketball Legends and more amazing games for free !